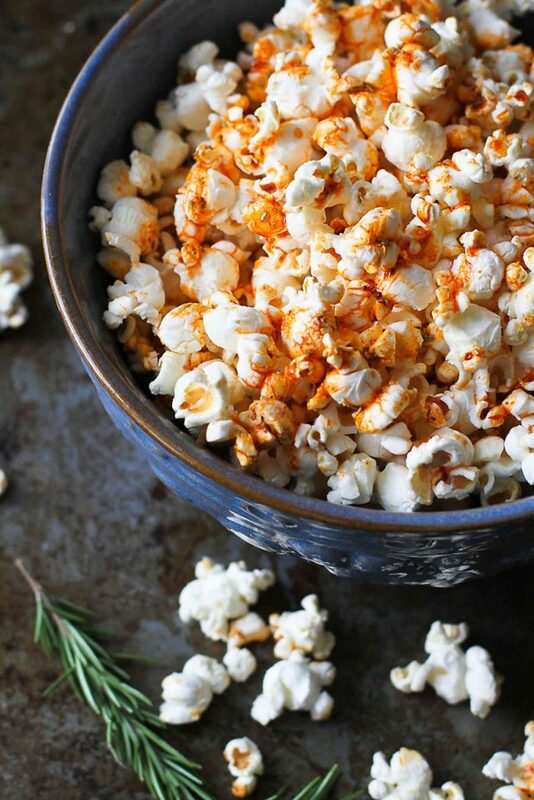 Pop the popcorn kernels using an air popper. Alternatively, place the kernels inside of a paper lunch bag, fold over the top of the bag and cook in the microwave until there are 2 to 3 seconds between pops. Transfer the popcorn to a bowl. In a small glass bowl, stir together the olive oil, smoked paprika, rosemary and salt. Microwave until just heated, about 20 seconds. Drizzled the oil mixture over the popcorn, tossing with your hands. Serve.